Bethany Christian graduated 33 seniors. 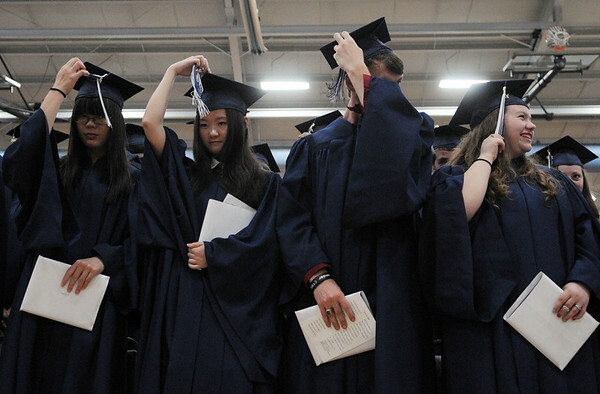 Students turn their tassels to the right to signify graduating during Bethany Christian High School’s commencement on Sunday. The graduating class had 33 students.